African shea butter oil moisturizer. Salon class hair conditioner gives you the healing power of shea butter! Enriched with herbs, botanicals and vitamins. Cure split ends, and discover soft, shiny hair. INGREDIENTS: Purified water (aqua), mineral oil, petrolatum, octyl hydroxystearate, steareth-2, polysorbate 80, Shea butter, mango butter, cocoa butter, vitamin A,D,E,B complex, ethylhexyl methoxycinnamate (sunscreen), Iron oxides, pure tea extract, nettle extract, yarrow extract, coltsfoot extract, rosemary extract, birch sap, clover blossom extract, birch leaf extract, horsetail extract, sage extract, carbomer, beeswax, glycerine, amodimethicon, tallowtrimonium chloride, nonoxynol-10, PEG-14M, ethoxydiglycol, Propylene glycol, butylene glycol, calcium pantothenate, inositol, dimethicone, sorbitan sesquioleate, disodium, EDTA, diazolidinyl urea, methylparaben, propylparaben, fragrance (parfum), orange #4, red #40, yellow #5. 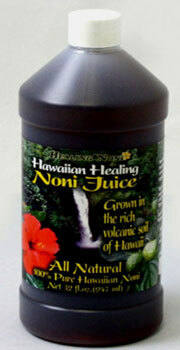 Hawaiian Noni Juice Benefits: Condition helped by people who drink Hawaiian Noni Juice. *Allergy, decreased symptoms *Arthritis, lessened symptoms *Ashma, improved *Cancer lessened symptons *Deprssion improved *Diabetes, Types 1 & 2, improved *Digestion, improved *Energy, increased *Heart Disease, decreased symptoms *High Blood Pressure, drecreased * Kidney Health, improved *Menstruation, lessened symptoms *Obesity, lost excess weight *Pain, (Headaches ect.) decreased *Sleep, improved *Smoking, stoped *Stress, coped better *Stroke, decrease symptoms and Well-being, felt better. Now! Available in 16.9 Fl Oz or 500Ml bottle and 32 F. Oz Bottle. Please select your bottle size. Now! : Save Extra 10 - 30 % Off Your Purchase With Discount Coupon Code (1170290857) With $65.00 Minimum Purchase.